Just 30 kilometres from Cambodia’s world famous Angkor temples is an astounding sight tourists don’t see. 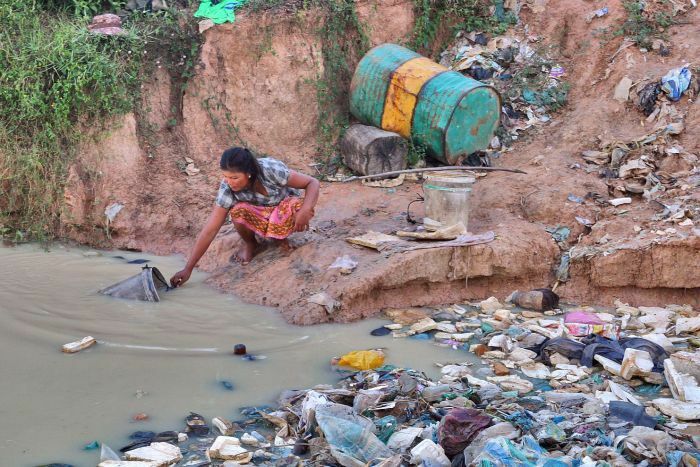 Tucked away from foreign eyes on the outskirts of Siem Reap is a community of about 500 people who live – or survive – in a rubbish dump. 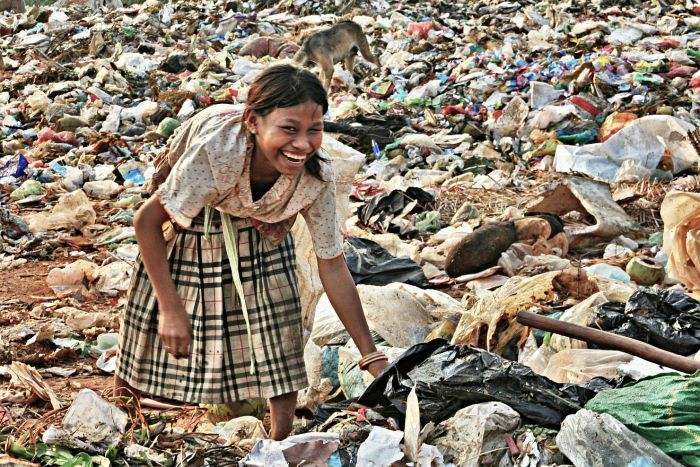 Spanish photojournalist Omar Havana spent seven months from October 2010 to April 2011 getting to know the people at the dump and documenting their lives. He says what he saw was was “from another world”, but that the people are happy. Here Havana shares his photos and stories with ABC News Online. 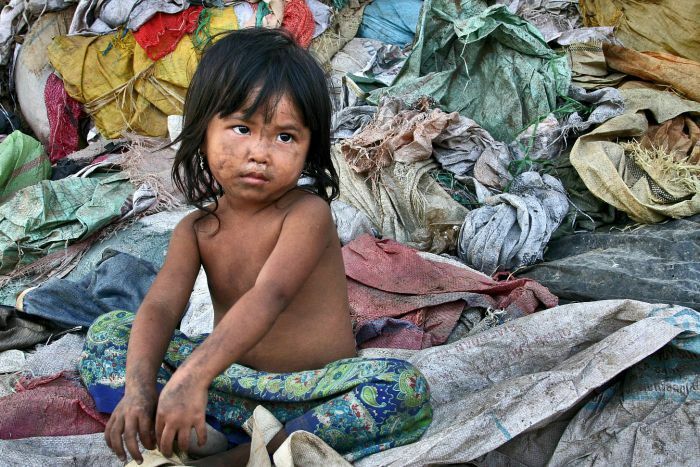 One day in Cambodia a boy told me he had been living for many years in the rubbish dumps. I tried hard to get permission to visit them but I didn’t, so I made the decision to go without permission. What I saw there was from another world. In total there are about 500 people working there, most of whom also live, sleep, eat and drink there. After working for several months in the dumps I even saw a child birth. 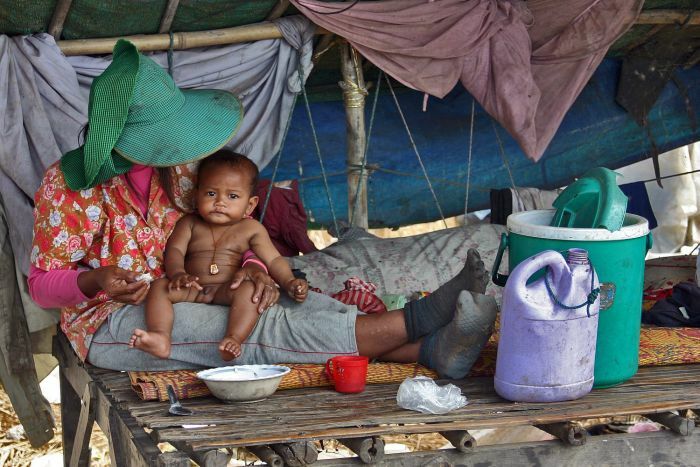 With 34 per cent of the total population living on less than $1 a day, those in the dumps, at least they can find food and shelter. 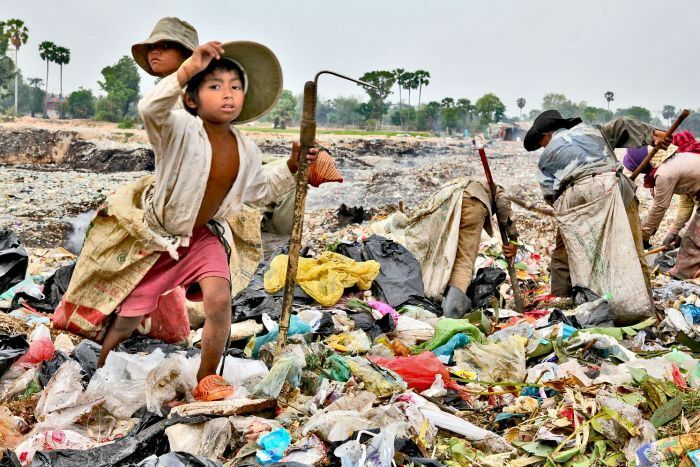 They earn about 35 cents per day for 14 hours’ work. They are nomads. They move from dump to dump when the one they’re at is full, normally every four years or so. Their whole life they are living in the dumps; they just move from one to another. They are normal people. 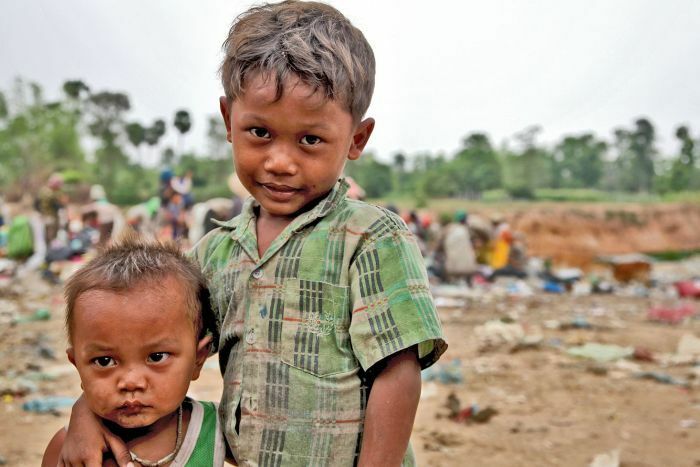 Most of the little children are aged between three and 15 and they are always smiling – that was what shocked me most. The smell is so strong that it gets into your throat. You can taste the smell. Your eyes become full of tears. It is awful, but with time you get used to it. One day a little boy carrying a bag of blood asked me why the people in my country never smile. I didn’t know what to answer. While he looked at the blood he was carrying as a treasure to eat, he explained to me ‘I smile all the time, I’m lucky. Today I’m going to eat this and tomorrow I will see the sun again’. 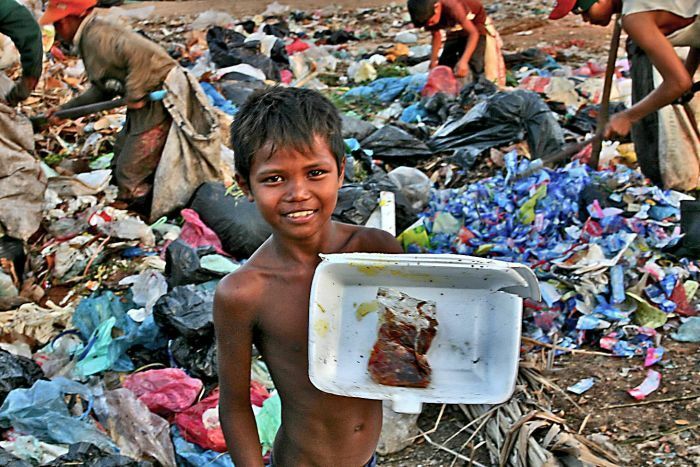 Photo: A boy shows off his find. 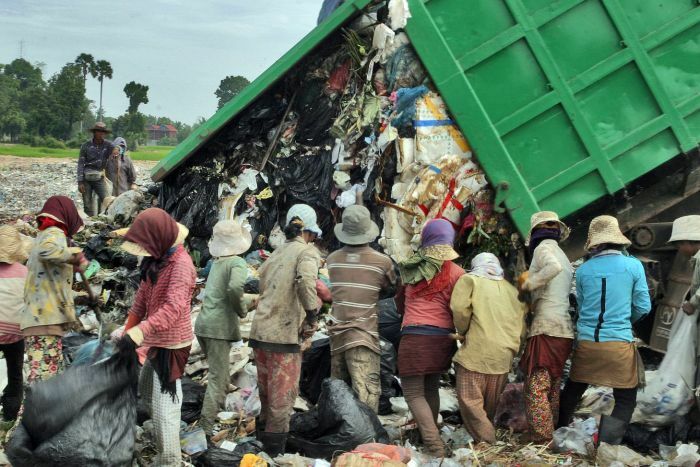 (Supplied: Omar Havana) They seem immune from the rubbish. Normal sickness is rare; more common is diarrhoea and stomach illness or colds. 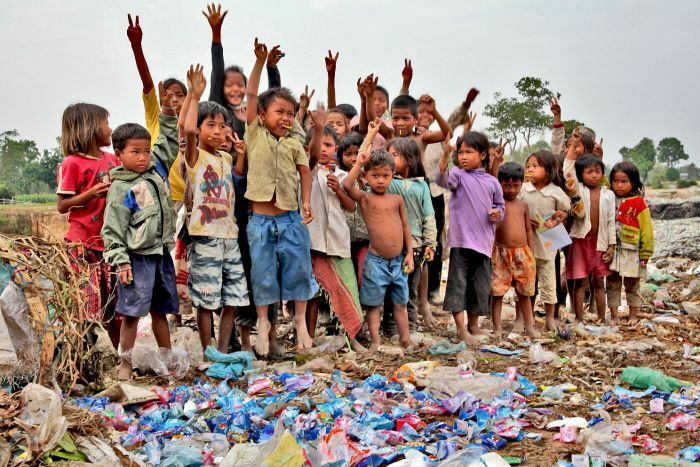 Something very common there is to suffer cuts and bruises, as most of the children are barefoot in the middle of tonnes of rubbish. Photo: Two young friends embrace. (Supplied: Omar Havana) Basically the dump is their shopping centre. 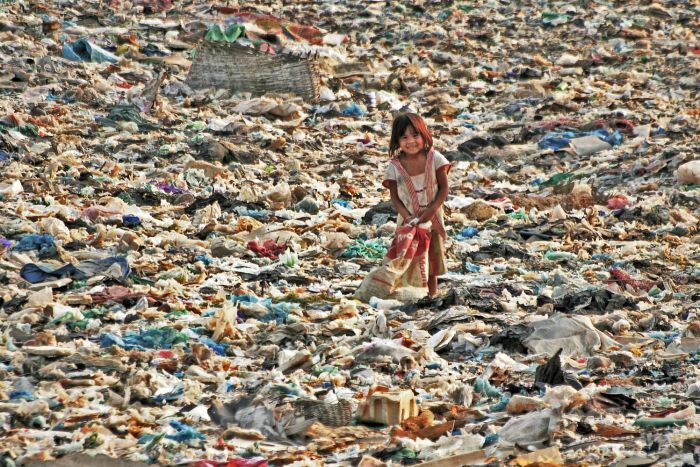 Everything that they need to survive comes from the dump. They always tell me that they are lucky if they find bananas because they are clean under the skin. 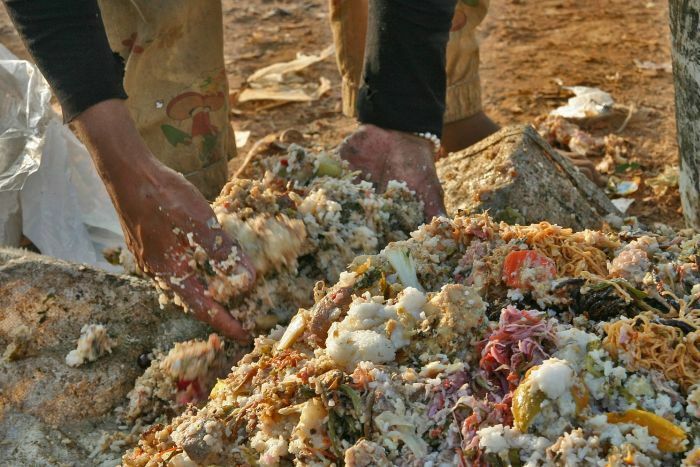 The rubbish is coming from Siem Reap, the main tourist city in Cambodia, where there are many hotels including a few that have rooms for over $1,500 a night. It is a city of almost 150,000 people. They deserve to be known, they deserved to have a voice, and I think their smiles are the best way they can show themselves. They are happy just because tomorrow they will see the sun. I have to be honest, I didn’t find that place sad. I was happy every time that I was with the people living there. The sadness and the tears come after, when you are in your hotel room surrounded by material things and you don’t see the smiles and the faces of the people living there come to your memory – that is when the sadness invades you. 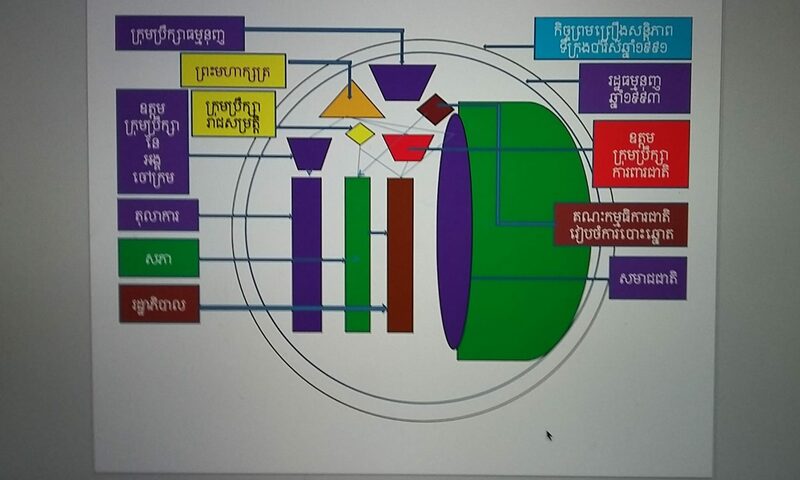 I call Cambodia the Forgotten World. With photography we cannot change the world, but we can change minds and touch hearts. That is the reason why I’m a photographer … to give a voice to those in silence.